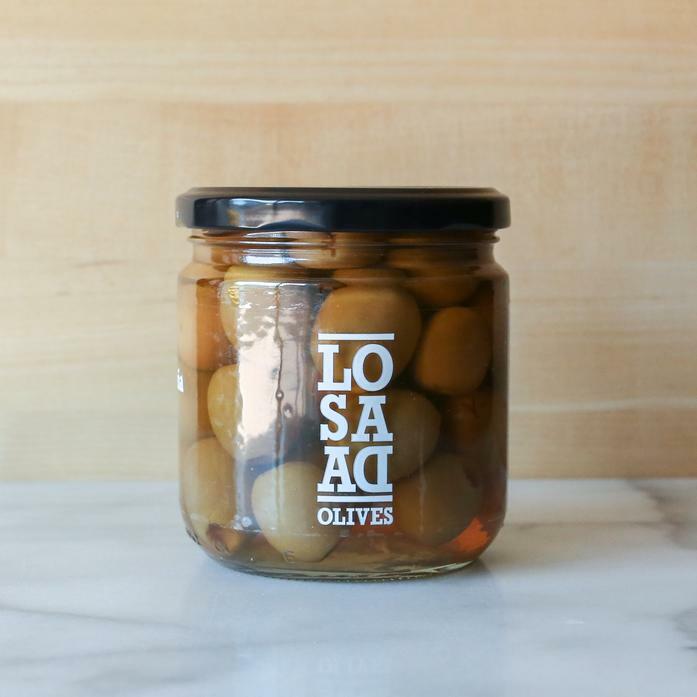 These green olives are harvested early and then naturally fermented with salt and water; the olives are cracked to aid fermentation. They feature a crunchy texture and a sweet finish as a result of the fermentation process. These olives are cultivated in Alora and surrounding areas, and are the only olive variety in Spain with Protected Denomination of Origin. Olives are pitted, but please be alert for any errant pits.